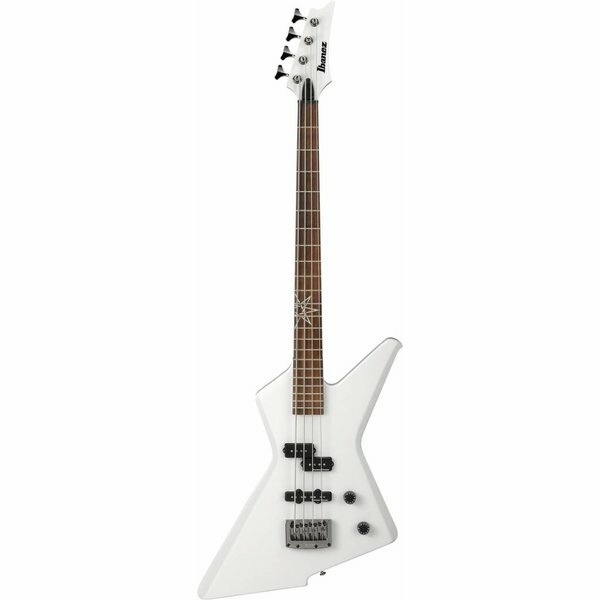 This is the signature series bass for Mike D'Antonio, bassist for Killswitch Engage, Death Ray Vision, and Overcast. Sometimes, a much-loved and highly successful band needs to shake things up a bit to keep things fresh and interesting for their fans and for themselves, all the while retaining the signature sonic hallmarks that have defined their sound. For their upcoming sixth album, Massachusetts metal pioneers Killswitch Engage reunited with original singer Jesse Leach, whose vocals and lyrics on 2002窶ｲs landmark Alive or Just Breathing are fan-favorite qualities and part of what helped put KsE on the map as one of the most important bands of the '00s metal revival. Poll KsE fans and ask which album they like best and Alive or Just Breathing is usually right at the top of the list. Call it coming full circle, returning to their roots or coming home again. Whatever the case and no matter what you choose to label it, Leach's return to the fold is welcomed and anticipated by all involved, from the band members themselves to the fans. Leach is a fitting piece of the KsE puzzle. KsE enjoyed a decade of success with Leach's replacement Howard Jones, who has moved on amicably. "This change is very exciting," the band said upon announcing Leach's triumphant return. "We know you're going to love it. This is truly a new era in KsE history and it is ready to shred your face off. So, please help us in welcoming Jesse back into the KsE family; he is a rare and great talent, a fact that older KsE fans have known for years. Here is to a killer new record and a bright future. The five of us cannot wait to write this record and play shows together and bring that feeling to our fans. It's been far too long." KsE burst onto the scene with the genre-defining Alive or Just Breathing, notching a Grammy nomination in 2005 for the title track from 2004窶ｲs gold-certified The End of Heartache and following up that landmark album with the Gold-selling As Daylight Dies and an appearance on Jimmy Kimmel Live along with gracing the covers of countless metal and rock magazines around the world. Through the '00s, KsE adopted a versatile, non-stop touring schedule. The band's road history includes two treks on Ozzfest, stints on Warped Tour and Taste of Chaos, as they have that rare ability to straddle the line between the metal and alternative scenes by touring with Slayer and Mastodon as easily as My Chemical Romance and Underoath The band's DVD Set This World Ablaze also enjoyed Gold-selling status, proving that KsE have the metallic Midas touch. However, KsE have never coasted on the wave of prior successes, which saw them become one of the premier, most successful bands to emerge from the so-called New Wave of American metal. With Leach back at the vocal helm and behind the mic and a renewed sense of what they want to accomplish, what once was is brand new again and 2012 (and beyond) looks to be another exciting year (and decade) for Killswitch Engage.